Copyright and intellectual property protection has become a hot topic as our lives are lived ever increasingly online. Nowadays, most of online audio and video are inserted with DRM to prevent from unauthorized distribution, and so do eBooks. The vast majority of major publishers use such a very intrusive technology that prevents users from easily backing up their online purchases and loading these books on many smartphones and e-readers. Kobo is also among them. Though there are some DRM-free Kobo books, a great number of books we got from Kobo are protected by Adobe DRM, which restricts users to read them on Kobo devices. In this case, if you want to read and share your Kobo purchases freely, the best way is to remove DRM protection from Kobo books and convert them to a more widely-used format like PDF. Below we will show you the step-by-step tutorial on how to convert Kobo eBooks to PDF. 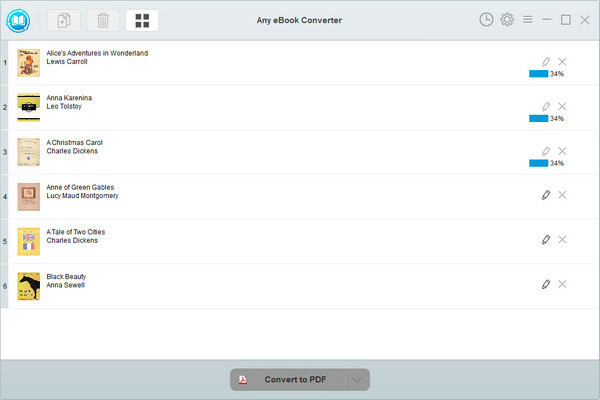 To convert Kobo books to PDF format, a powerful Kobo eBook converting tool is necessary. Here you are recommended to use Any eBook Converter. 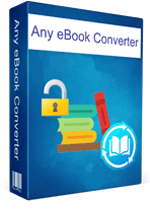 It is a fairly comprehensive eBook converter, which includes handy tools for DRM removing, format converting, Meta information editing and more. With built-in innovative DRM decryption and format conversion technology, Any eBook Converter can help you remove DRM from Kobo, Kindle, Adobe and Nook eBooks, and convert them to various format, including EPUB, PDF, MOBI, AZW, TXT or KFX. With its help, you can easily get DRM-free Kobo books in PDF format and read them on any of your devices as wish. Any eBook Converter enables us to strip DRM from Kobo books and convert them to PDF format with three simple steps, and below is a demonstration of the whole process. Before we get started, please have the program well installed on your computer. Note: Please make sure you’ve already installed Adobe Digital Editions (ADE) on your computer, added and downloaded your Kobo books in the Adobe Digital Editions library before running Any eBook Converter. 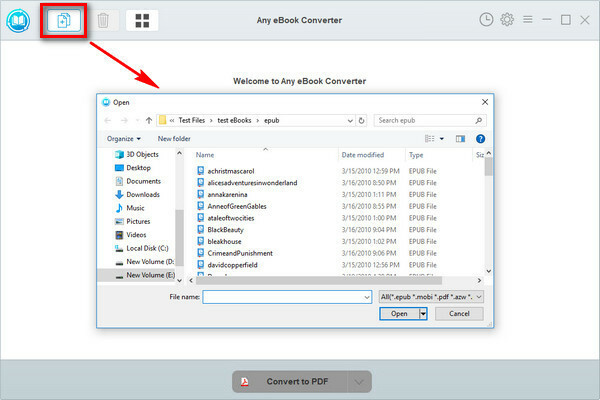 Launch Any eBook Converter and click "Add eBook" button on the upper left. There will be a pop-up window allowing you to browse and upload the Kobo books that you want to convert. 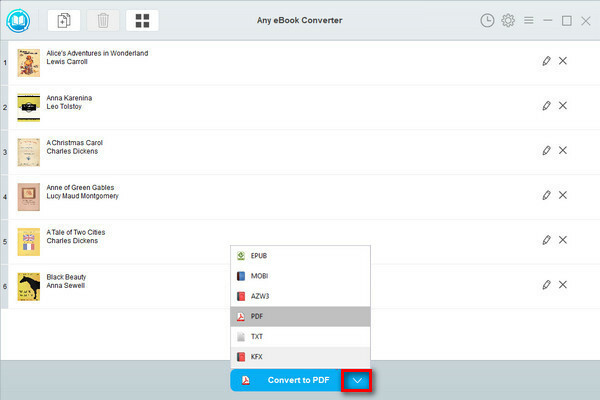 Click "Convert to PDF" button to start converting your Kobo books to DRM-free PDF format. When the conversion is done, you can find the converted Kobo files by clicking the “History” button on the upper right or directly going to the output folder you set in previous step. Now you've got your Kobo books in DRM-free PDF format, you can easily read them on more devices or share them with your friends, etc.